Each year ec² Software Solutions has the privilege of attending the industry’s premier education and research meeting in molecular imaging and nuclear medicine. SNMMI always provides the nuclear medicine and molecular imaging community with the most up-to-date information in the field. 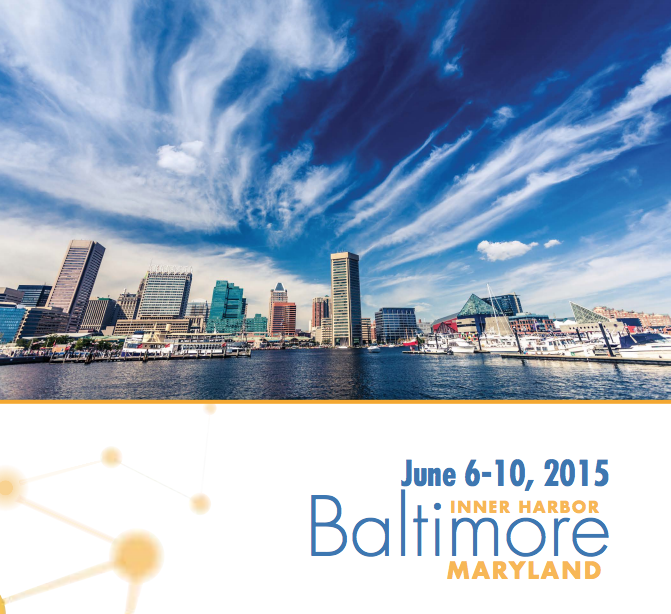 We look forward to joining more than 4,000 attendees this year in Baltimore, MD, for the 2015 Annual Meeting. This year’s educational program provides physicians, technologists, pharmacists, laboratory professionals, and scientists an in-depth review of molecular imaging technologies, clinical applications, and translational and advanced research topics. A total of 81 expert-led continuing education sessions have been organized by the Scientific Program Committee on topics ranging from PET/MR for neurologic disorders to alpha therapy for bone metastases to SPECT/CT in thyroid and parathyroid disease. A wide array of workshops and research sessions will be held, including an educators’ forum, review courses, the CT and MRI Case Review Workshop, and a complimentary Patient Education Day on Sunday, June 7. To get the most out of your annual meeting experience, be sure to attend the Sunday and Monday morning plenary sessions, as well as the Henry N. Wagner Highlights Symposium. 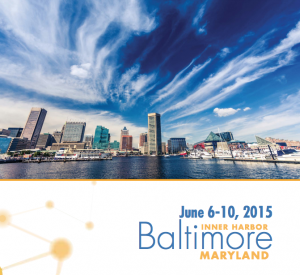 Full Annual Meeting attendees may attend the pre-meeting MIRD Radiopharmaceutical Dosimetry Symposium on June 4–5, which will update attendees on the current status of radiopharmaceutical therapy, with a particular emphasis on the key role played by dosimetry. 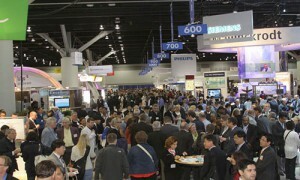 The scientific sessions (SNMMI received more than 2000 abstracts!) will be grouped into 10 tracks representing 66 categories. More than 90 oral scientific sessions will be offered for physicians, scientists, and pharmacists, with eight oral sessions for technologists and technologist students. More than 160 major manufacturers of equipment, products, and services will be exhibiting at the conference from Saturday evening through Tuesday afternoon, which is a great opportunity to see demonstrations of the latest innovations in molecular imaging and nuclear medicine technology. Speaking of technology, there is even a mobile app that offers quick and easy access to the entire educational program and exhibits. The app allows users to build a personalized schedule, search and filter education sessions, receive alerts, record and share notes, and access information about restaurants and a attractions in Baltimore’s Inner Harbor area. A few of the activities include the Hot Trot 5K Run/Walk, followed by the SNMMI First Timer’s Orientation, the SNMMI–TS First Timer’s Brunch, the Knowledge Bowl and Luncheon, and the Poster Hall Mixer on Sunday, June 7. Early-bird registration ends April 9. For more information or to register, please visit www.snmi.org.